Today was a bit of a crazy day for me, LO woke me up super early this morning because she was running a slight fever. Shortly after a dose of acetaminophen, the fever broke and she was finally able to fall sleep again. Unfortunately, I had to stay awake because I had to be a work early. Needless to say I'm exhausted tonight! 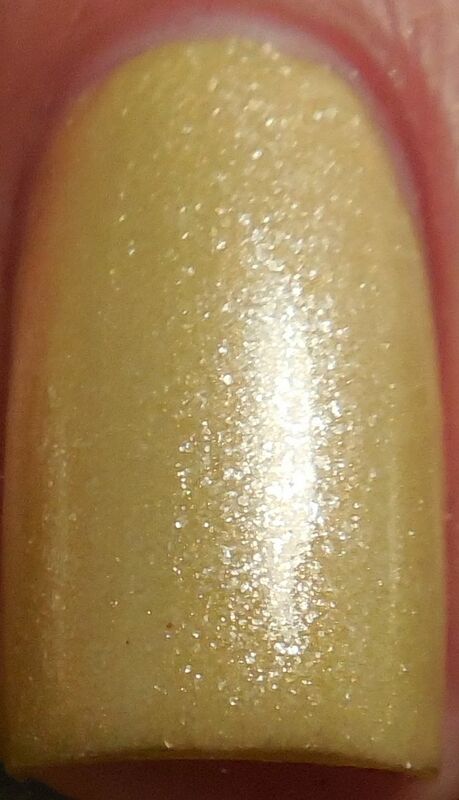 That means another quick post tonight, and it's Zoya Piaf from Zoya's spring collection called Lovely. I was curious as to who Piaf is named after, and after a quick google search it shows up with Edith Piaf, a french singer. Piaf was my favorite from the collection because the combination of yellow and shimmer came together to make a stunning polish. Application was a little difficult for me, it was streaky and I had to use three to four coats to get it even. It didn't seem to dry as quickly compared to other Zoyas either, and I ended up slightly dinging my middle finger. No topcoat in these pictures so you can see it's actual shine. I love all the little glass flecks in this, and it reminds me of dappling sunshine... I just wish the formula was better otherwise this would definitely be a favorite yellow for me. As it is, I can't justify keeping it if it's so difficult to apply, so the hunt for the perfect yellow continues. Have you found your perfect yellow? The color is really stunning! Great blog!